Bulls Tortured and Ripped Apart by Teens?! Too bad he didn’t get run over! This is so sick. 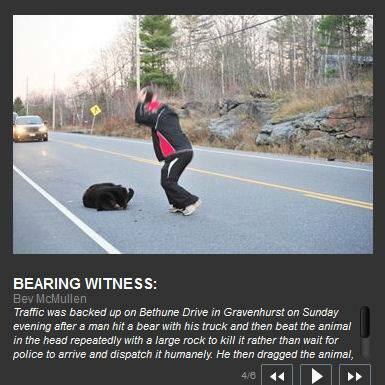 Any compassionate person would have done anything to save the bear’s life. Hard to see. Trying to save the bear would have been better. Did people actually watch this without interfering?